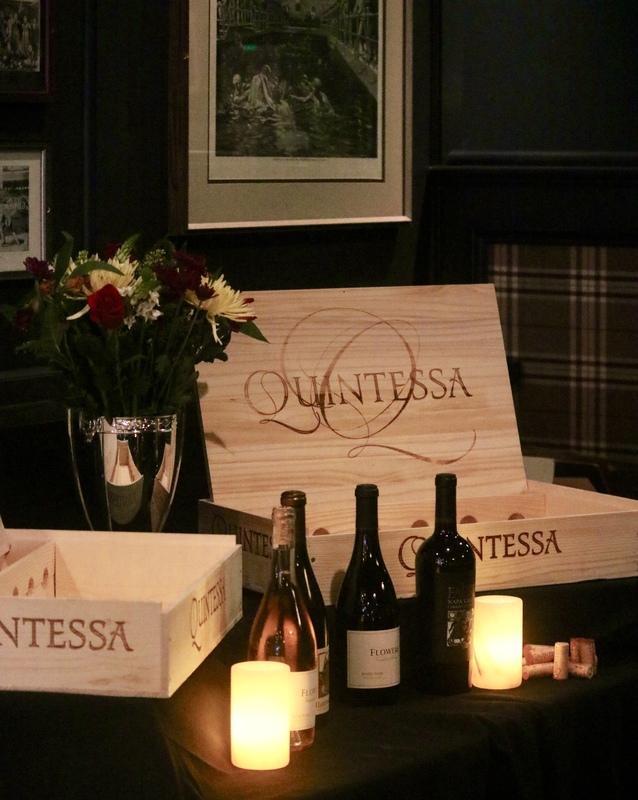 The Country Club Costa Mesa went all in when they featured Quintessa wines paired with Chef Zach Scherer’s creative classic American cuisine at their first winemaker dinner earlier this month. The comfortable clubby ambiance of The Country Club is perfectly suited for bringing friends and family together over better-than-good food and drink, especially when Executive Chef Zach Scherer and Chef de Cuisine Edward Hyman and team put their collective palates together with beautiful pairings highlighting the exceptional wines of Quintessa. 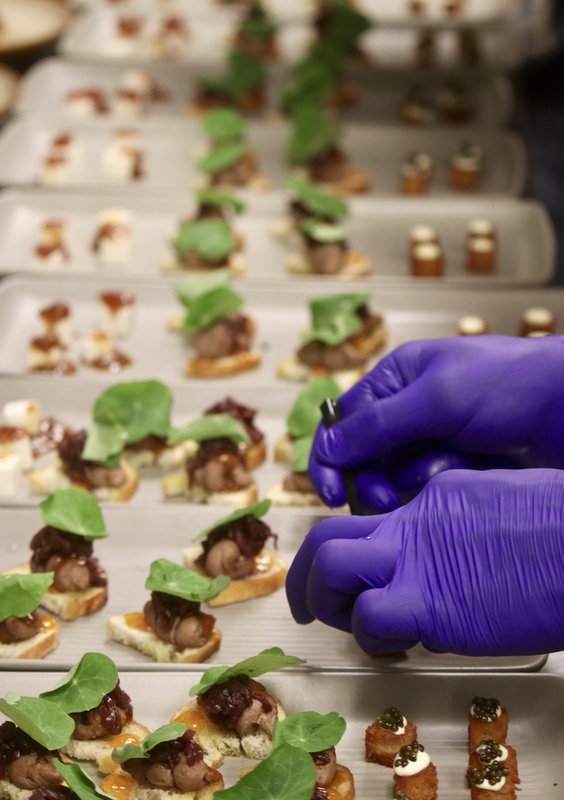 Planning a wine pairing dinner begins with designing a balanced pairing menu that highlights both the wine and cuisine and progresses in incremental order — beginning with lighter fresher dishes and finishing with heavier, bolder flavors. 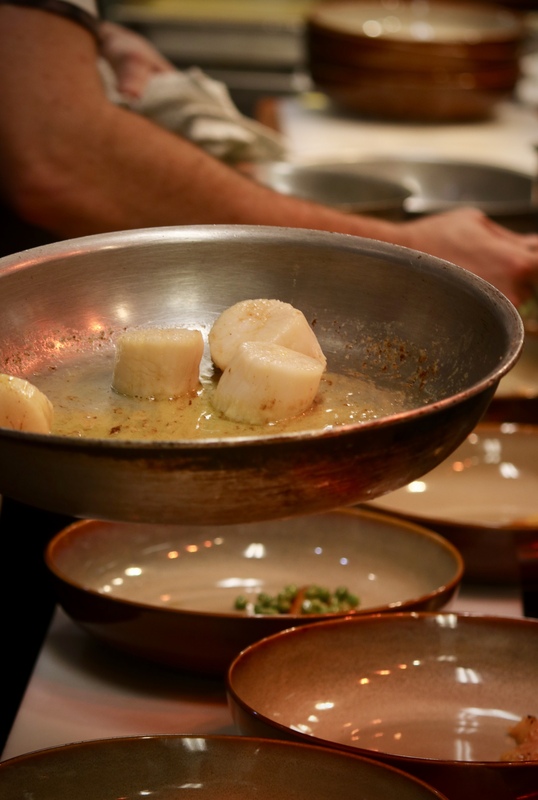 It is a complex orchestration of kitchen equipment, cooking times, plating, and pacing. The Country Club culinary team executed this beautifully, once things got rolling. Since 1989, when Agustin and Valerie Huneeus discovered 280 acres of unspoiled and never before cultivated land on the eastern edge of Rutherford at the foot of the Vaca Mountain range in Napa Valley, Quintessa has farmed using organic practices creating a balanced ecosystem that promotes thriving, healthy vines and long-term sustainability. Posing both a challenge and an opportunity, the hills and valleys are a mosaic of soils and microclimates that beckoned the Huneeus’ to fulfill its destiny as a great wine estate; Quintessa was born and became the culmination of a lifetime dedicated to wine. For me, the fresh scallops with bright Spring flavors (above) and the classic pairing of duck breast with cherries (below) were the evening’s best dishes. Flowers Pinot Noir also happens to be a favorite wine that my husband and I savor often.